The Toyota Avalon has always been a bit of an outlier in the automaker's available inventory at dealerships. 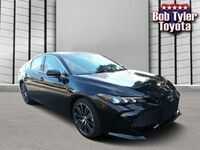 Buyers choosing the full-size sedan wanted to drive it home because of the Toyota flagship's generous interior dimensions, comfortable ride characteristics and comprehensive list of standard equipment. 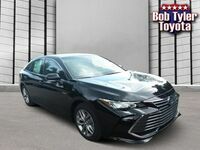 There is a good reason why the Avalon has long presented a viable alternative to buyers looking for a luxury sedan experience without having to pay the luxury sedan price. 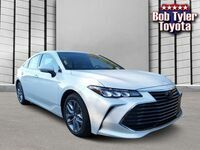 For the next model year, the 2019 Toyota Avalon in Pensacola dials all of those traits up to unprecedented levels inside of the manufacturer's roster. The all-new Avalon is built on a lighter and more responsive architecture that is combined with a new powertrain that is more powerful and more fuel-efficient. 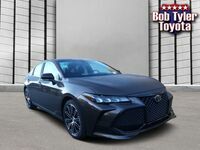 Anyone interested in seeing the 2019 Toyota Avalon for themselves should schedule an appointment with a Bob Tyler Toyota sales professional today by calling, 850-308-1887. 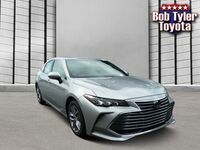 Toyota has employed its new global vehicle platform for the 2019 Toyota Avalon which has shed unwanted weight without compromising the unibody construction rigidity. Additionally, the already impressiveTNGA K sedan platform has been paired with a new multi-link rear suspension to provide a very exciting and engaging handling profile. Under the hood of the 2019 Avalon is an all-new naturally aspirated 3.5-liter, V-6 engine which makes more horsepower than previous models while still recording some of the strongest fuel economy scores in its class. 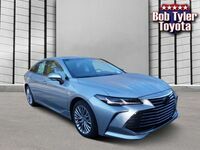 As the flagship of the Toyota vehicle, the 2019 Toyota Avalon will also be the automaker's most technologically-advanced sedan. All of the available trim grades of the redesigned sedan will come with the Toyota Entune 3.0 infotainment system as standard equipment – opening a new world of connectivity possibilities. 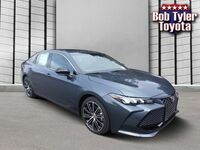 Drivers of the 2019 Toyota Avalon will almost certainly get a fair amount of enjoyment out of the sedan's new powertrain. Attached to an all-new eight-speed automatic transmission, the 3.5-liter, V6 engine will make more than 300 horsepower, while still recording 22 mpg in the city and 32 mpg on the highway. Most drivers and passengers will have their iPhones with them in the 2019 Avalon. Toyota has made the Entune 3.0 infotainment compatible with the Apple CarPlay suite of applications, in addition to Bluetooth connectivity. Additionally, users of in-home smart speakers will find new functionality in the new Avalon with Amazon Alexa. Just about every automaker has smartphone compatibility for their infotainment systems. Toyota goes a step farther by offering a high-speed 4G Wi-Fi hotspot in the 2019 Avalon. Up to five Wi-Fi-enabled devices can use the mobile internet connection. A two-gigabyte/six-month trial data bucket is available if buyers choose to opt-in.